While many types of fleets deal in logistics and transport of supplies and products, some fleets deal directly with people, which require a different level of service experience. No fleet industry operators understand this need for personal service than the limousine and Chartered Tour groups. This means being on time and dependable, offering a clean and modern fleet, and having drivers that are safe, professional, and attentive to all client needs. While many of these service-oriented aspects of the limousine and Chartered Tour industry can be addressed through training and management, the issues that influence the service experience related to the vehicle can be further improved through the introduction of maintenance management technology. This type of technology is truly changing how limousine companies and Chartered Tours are operating, helping them to lower costs, driver greater profitability, and deliver an enhanced service experience. Record Keeping and Expense Reports: Drivers are most likely responsible for keeping certain records and expense reports, including fuel use, mileage, and maintenance or repairs that might be needed or that have been completed. What may happen is that a driver forgets to log some of this important information in what tends to be a paper log. They end up submitting incomplete records and expense reports. Not knowing this critical information could potentially lead to a vehicle malfunction, ruining a clientâ€™s experience or leading to them missing a flight or a meeting. Not only does this impact on the service reputation and tarnish the brand, but this lack of record keeping can also produce more expenses. Reliability and Vehicle Maintenance Cycles: The problem is that having an entire fleet of vehicles can make maintenance needs difficult to track. When limousines or other chartered vehicles are added to a fleet at different times, this can further complicate the maintenance cycle. Fuel Consumption and Mileage: As industries that involve significant amounts of driving, fuel consumption and mileage become two critical metrics that need to be tracked and managed effectively. Warranty Alerts and Recalls: Although warranties and vehicle recalls are important to stay on top of a vehicleâ€™s reliability, they are often forgotten about. 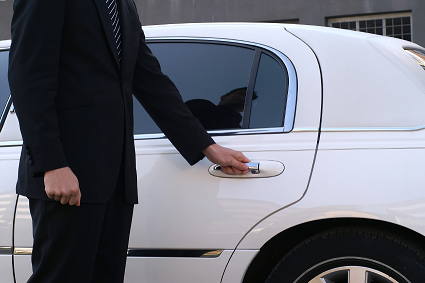 This can lead to greater costs and reduced reliability among the limos in your fleet. Safety: When weighing the level of risk and liability that comes with potential equipment and vehicle failure, no company wants to face those kinds of issues, especially in an industry that involves the transport of so many people. Overall Vehicle Value: Purchasing a fleet of limousines or chartered vehicles is a significant investment that must be protected over time. Not focusing on the care and maintenance of those vehicles can adversely impact the value of this fleet and lower the return on investment. Eventually, these vehicles may be resold so it is important to take care of them now so the return delivers over time. In applying new types of technology to these limousine and chartered vehicle operator industries, cloud-based maintenance management is a concept that is now helping these fleet organizations address all of the aforementioned issues. The term, cloud, is being heard more often and is a general term for an environment for information, data, and software that can be stored and accessed online and on-demand. Naming this level of information accessibility a 'cloud' fits because it is not an actual place but something that seemingly moves wherever you go. The information is current and accessible at all times, including through mobile devices, so the data is all in real-time for more effective decision-making. Data Integrity: Unlike paper records or traditional software, there is no risk of lost data. Computer crashes, power failure, human error or natural disasters do not impact data integrity in a cloud-based environment. Scalability: As you add or change vehicles in your limo or Chartered Tour, it is easy to update a cloud-based vehicle management system. The scalability feature offers opportunities for further data related to partners and suppliers. Vehicle Tracking: Because the solution does not rely on software in the home office, it is possible to add a GPS chip to each vehicle. This allows you to track driver performance and monitor if a vehicle may be delayed due to traffic or an accident. Additionally, some GPS devices can help the driver to create a route or re-route them in case of an accident or traffic to ensure timely delivery or pick-up of passengers. Integration: Adding a cloud-based vehicle management system does not have to disrupt your business because the information and records can be added over time rather than requiring that a business stop until all data has been transferred over. Is the solution user-friendly or will it require significant training? Does it include the ability to analyze the data? Is it a scalable solution? Does it include the GPS functionality? Can the solution import and export data for use in other programs or applications? With this guide as a basis, itâ€™s time to think about what issues are impacting your service experience as well as infringing on your profitability due to inefficiencies in your limo or Chartered Tour operations. Once the issues are identified, then you can determine which cloud-based vehicle management system can provide the best solution for your limousine company or Chartered Tour business. Register for your no obligation, fully-functional free trial of Ownersite for Fleets or Ownersite for Consumers today. No credit card is required and there is absolutely no obligation.